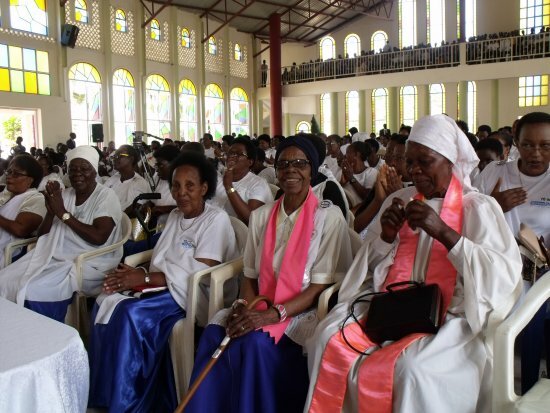 Recalling the long journey of a brave Christian woman who committed herself to serve families, Mary Sumner, the Mothers’ Union in Burundi celebrated 70 years. It was in 1948 that a few women from Uganda and Rwanda established a programme focused on women that gave skills centred on the role of women in a family. Working closely with missionaries, they organized regular prayer meetings at which they gave training in sewing and cooking and on other topics that made women pillars of family development. “The Mothers’ Union has laid strong foundations for families especially Christian families. It’s the teachings we got that made us what we are today”, said one of the elderly MU members. During a week of celebrations Mothers’ Union members visited people in prisons, centres for old people, and hospitals. At Prince Regent Charles Hospital Mothers’ Union members paid medical bills for six vulnerable people. "It's a miracle that God does for us. We were hopeless and we didn’t know how or when we would leave the hospital without paying the bills. I used to hear about miracles from God but now I experienced it and I will never forget it", said one of the patients who on the same occasion received Jesus Christ as his King and Saviour after a time of sharing prayers and the Gospel. The Provincial Coordinator of Mothers’ Union, Mrs. Claudette Kigeme paid tribute to women who have been pillars of the movement and have worked hard to make it strong. She thanked the Anglican Church of Burundi for its consistent support for the activities of Mothers’ Union in Burundi. She stressed that from the beginning the work of Mothers’ Union has made an impact on the lives of women through a whole range of programmes. Some of the women shared how the Literacy Programme, for example, had been more than skills of knowing how to read and write but had opened their minds to see opportunities for their own development and empowerment. Members of Mothers Union have formed literacy circles throughout the Anglican Dioceses and from that activity have initiated other programmes like savings and parenting that have brought far reaching, positive changes to individuals, families and communities. 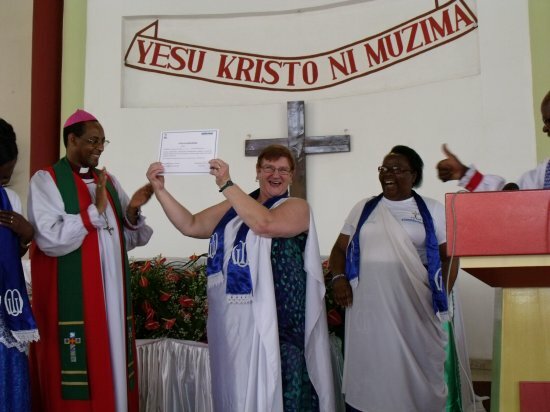 Lynne Tembey, the Worldwide Mothers Union President who attended the celebrations said it was a special time for Mothers’ Union Burundi to give thanks to God for everything that has been accomplished during its 70 years and to acknowledge that MU members in Burundi have shown determination to stand for the beliefs and values laid down as foundational by Mary Sumner. One of the visitors from UK was so impressed by the impact of Mothers' Union in a diocese she visited that she was enrolled as a new MU member during the ceremonies by Mrs. Tembey who is herself visiting some of the dioceses to see MU projects in the community. A number of members, some of whom are over 70 years old received certificates of commendation for their faithful service to Mother's Union. At the end of the ceremonies there was a breaking of the ground where a MU centre will be built in the future; a sign of commitment to future generations and to see the work of Mothers’ Union continue to develop.